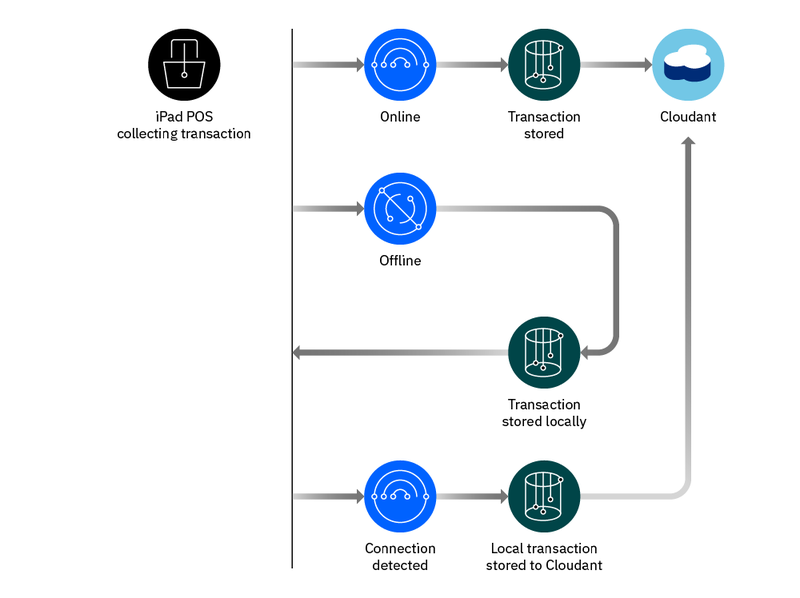 IBM Cloudant is a distributed database that is optimized for handling heavy workloads that are typical of large, fast-growing web and mobile apps. Available as an SLA-backed, fully managed IBM Cloud service, Cloudant elastically scales throughput and storage independently. Cloudant is also available as a downloadable on-premises installation, and its API and powerful replication protocol are compatible with an open source ecosystem that includes CouchDB, PouchDB and libraries for the most popular web and mobile development stacks. IBM Cloud service provides a fully managed, distributed JSON document database. Instantly deploy an instance, create databases and independently scale thoughput capacity and data storage to meet your application requirements. IBM expertise takes away the pain of hardware and software provisioning, patching and upgrades — while offering a 99.95 percent SLA. Cloudant is ISO 27001, SOC 2 Type 2 compliant and HIPAA ready. All data is encrypted over the wire and at rest with optional user-defined key management through IBM Key Protect. Cloudant also offers an EU-managed service, which ensures all data and operations are handled solely by EU citizens. Available in all IBM Cloud regions and 55+ data centers around the world, Cloudant can easily be set up for disaster recovery between continents or scaling an app for a global release through a horizontal scaling architecture that can handle millions of users and terabytes of data to grow seamlessly alongside your business. All Cloudant instances are deployed on clusters that span availability zones in regions that support them, for added durability at no extra cost. Leverage a flexible JSON schema and powerful API that is compatible with Apache CouchDB™, enabling you to access an abundance of language libraries and tools to rapidly build new applications and features. Move application data closer to all the places it needs to be — for uninterrupted data access, offline or on. Cloudant helps teams build Progressive Web Apps, develop with an offline-first architecture, or manipulate data on edge devices. Enhance your applications with built-in key value, MapReduce, full-text search and geospatial querying that goes beyond simple bounding boxes. Stream the changes feed for seamless integration with event-driven applications and IBM Cloud functions. With point-of-sale apps powered by Cloudant, retailers can use analytics to personalize shopping experiences, and build applications that work on mobile devices, offline or on. 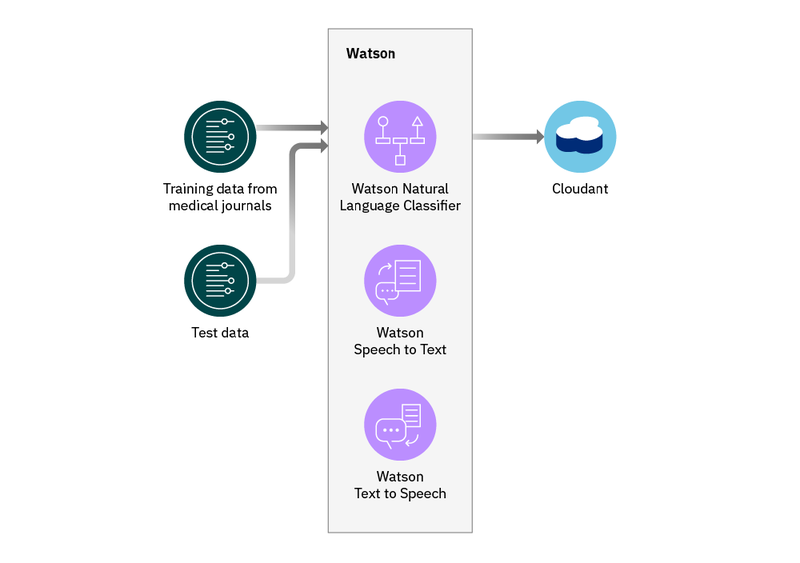 Combine IBM Watson machine learning with data stored in Cloudant to build cognitive applications. Examples include advanced healthcare applications, where doctors can diagnose patients with speed and accuracy, and powerful chatbots that enhance retail experiences. IoT sensors enable precise end-to-end traceability and anomaly detection of shipments. This data is transmitted to IBM Watson IoT Platform.